You are currently browsing the tag archive for the ‘bird’ tag. Many of Chuck Jones’s early cartoons of 1938-1941 have a Disney-like character, but ‘Tom Thumb in Trouble’ arguably tops them all in Disney overtones. The short stars a particularly small Tom Thumb, being indeed the size of his father’s thumb. When the father goes to work and leaves Tom alone to do the dishes, Tom Thumb almost drowns, but he is rescued by a little yellow bird. Unfortunately, his father blames the bird, and Tom Thumb walks away into the woods because of that. In the end all are reunited. There’s absolutely nothing funny about this sentimental and cloying tale, and one wonders what Jones was thinking. This cartoon would have fit the years 1934-1936, not 1940. The animation, however, is stunning, with the very realistic father being an animation highlight within Warner Bros.’ 1940 output, topping even the realistic humans in ‘Old Glory‘, as he appears to have been animated with more confidence and ease. The staging, too, is nothing but impressive, with its strikingly original and dramatic angles, often turning the father into a towering figure. But the short owes nothing to the output of Jones’s colleagues, and the only aspect that makes it typically Warner Bros. is Carl Stalling’s music, which makes clever use of classical music, with Richard Wagner’s Ride of the Valkyries during Tom Thumb’s flight into the winter woods as a particular highlight. 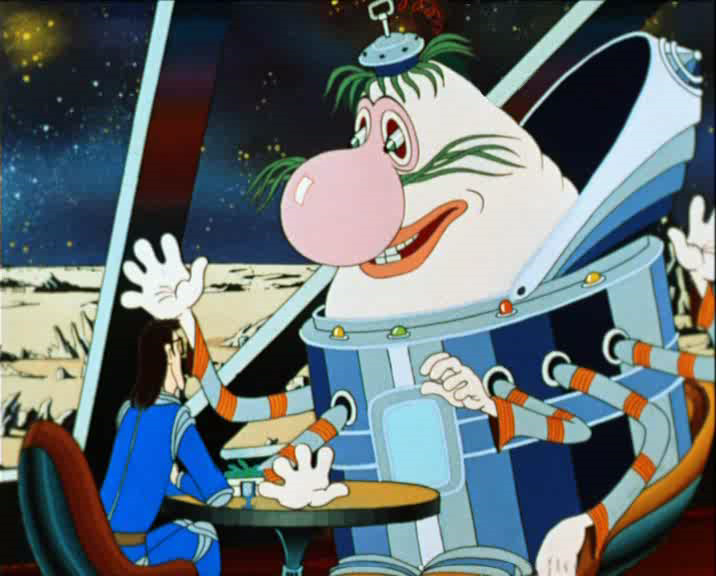 ‘Tayna Tretyei Planeti’ (‘The Mystery of the Third Planet’, also ‘[Alice and] The Secret of the Third Planet’) is a delightful science-fiction film for children about the little girl Alice, who accompanies her father, a bespectacled scientist, and the melancholy captain Green on their trips to collect alien animals for the Moscow zoo. On their way they encounter a mysterious professor, and learn about the illegal slaughter of ‘chatterers’, some kind of alien bird species. The one surviving chatterer provides the key to the mystery, leading our heroes to two heroic astronauts, who have been captured by pirates. Despite the mystery plot, the overall mood of the film is optimistic, unhurried and relaxed. At no point there’s is any real danger or violence. Even when the villain commits suicide at the end, it turns out to be fake. The film’s delight is not as much found in its story as in its gorgeous designs, its alien images, its surreal backgrounds, Aleksandr Zatsepin’s wonderful soundtrack, full of electronic space-funk, and in its exuberant animation. Alice, for example, has the habit to pull back her hair continuously, while her dad keeps putting his glasses straight. Also featured is a comical alien creature, called Gromozeka, who possesses no less than six arms, which are all animated separately. It seems that there were no budget problems at Soyuzmultfilm at that time, if animators could indulge that much in excessive animation. The results are gorgeous, but sometimes the elaborate animation slows down the action, especially during the action scenes, which are anything but fast. Nevertheless, ‘Tayna Tretyei Planeti’ is a gem of an animation film, and a feature that definitely deserves to be more well-known, even though it’s a short one, clocking only 45 minutes. In this film Paul Driessen experiments with the split screen for the first time. 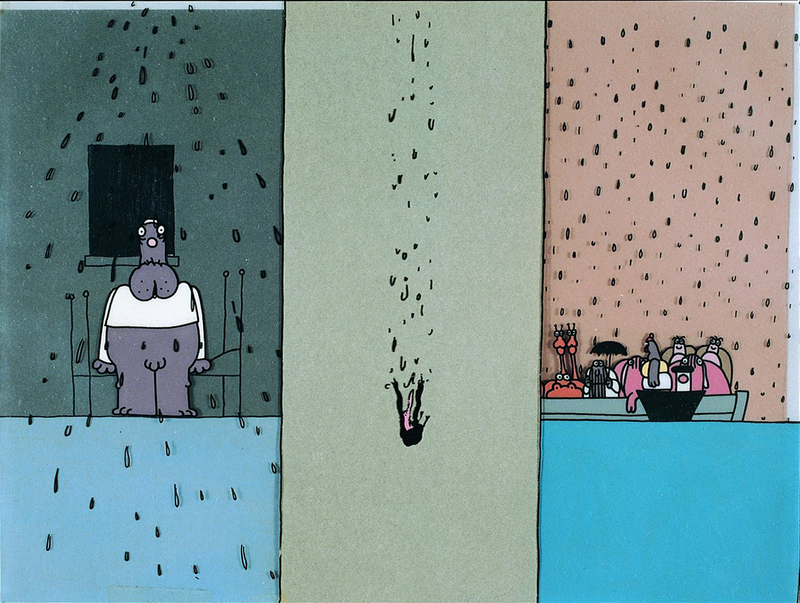 Like many of Paul Driessen’s shorts ‘Te land ter zee en in de lucht’ involves morbid humor, including a running gag of an ark sinking several times. The film uses no dialogue and no music, only sound effects with very effective results. Driessen would take the split screen technique to the max in ‘The End of the World in Four Seasons’ (1995), but the genius of ‘Te land, ter zee en in de lucht’ would only be topped by his melancholy film ‘The Boy Who Saw the Iceberg’ from 2000. Jerry teams with a canary to withstand Tom’s attempts to eat them both. Unfortunately, this first of several Jerry-and-a-bird-cartoons adds nothing to the elementary chase formula. Jerry would team several birds after this one, the most famous being Little Quacker, a talkative little duck. 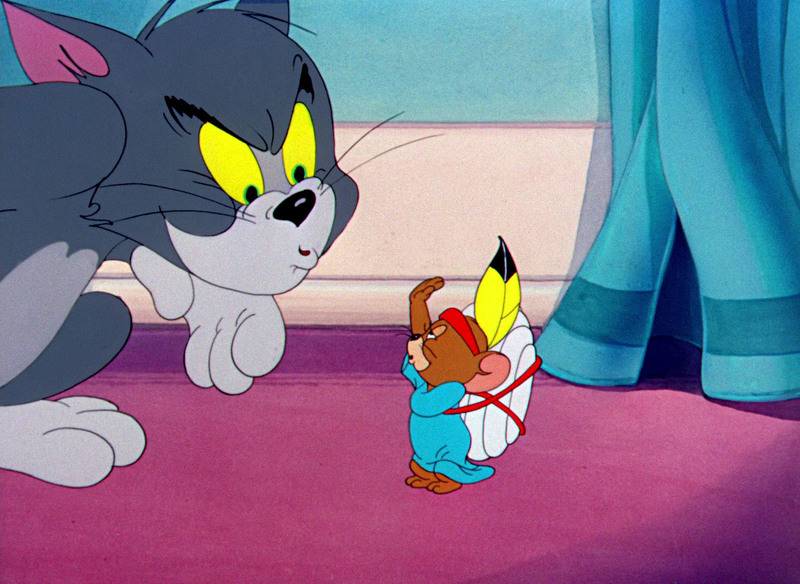 These teamings would lead to very cute cartoons, but these are not Tom & Jerry’s funniest. At least ‘Kitty Foiled’ isn’t, despite a frantic pace (the first quiet scene only enters after 2:30!). It even would be one of the more forgettable Tom & Jerry cartoons, were it not for a marvellous scene in which Tom thinks he’s been shot. In ‘Landing Stripling’ Jerry helps a small bird against Tom. 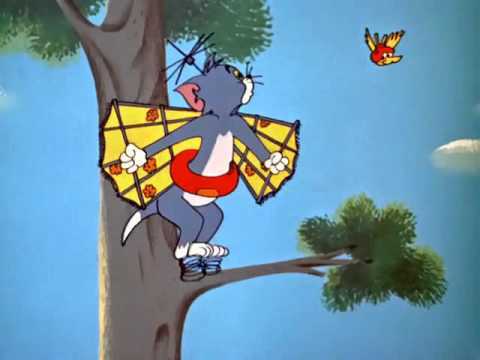 ‘Landing Stripling’ is reminiscent of some Hanna-Barbera Tom & Jerry cartoons, like ‘Little Quacker’ (1950) or ‘The Flying Cat‘ (1952), but unfortunately it’s too unappealing to stand the comparison. Its few good gags are ruined by bad timing, and the sound effects are particularly annoying in this short.